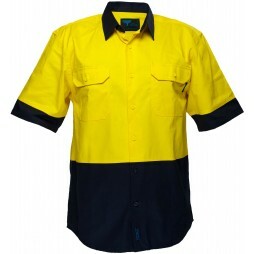 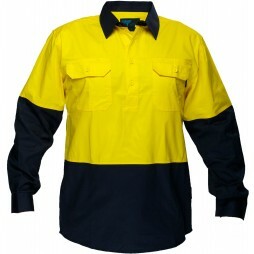 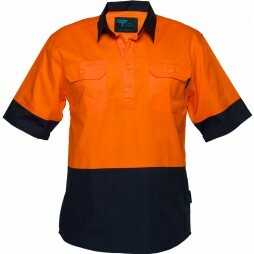 2 Tone Hi Vis Preshrunk 100% cotton Regular Weight Long Sleeve drill shirt. 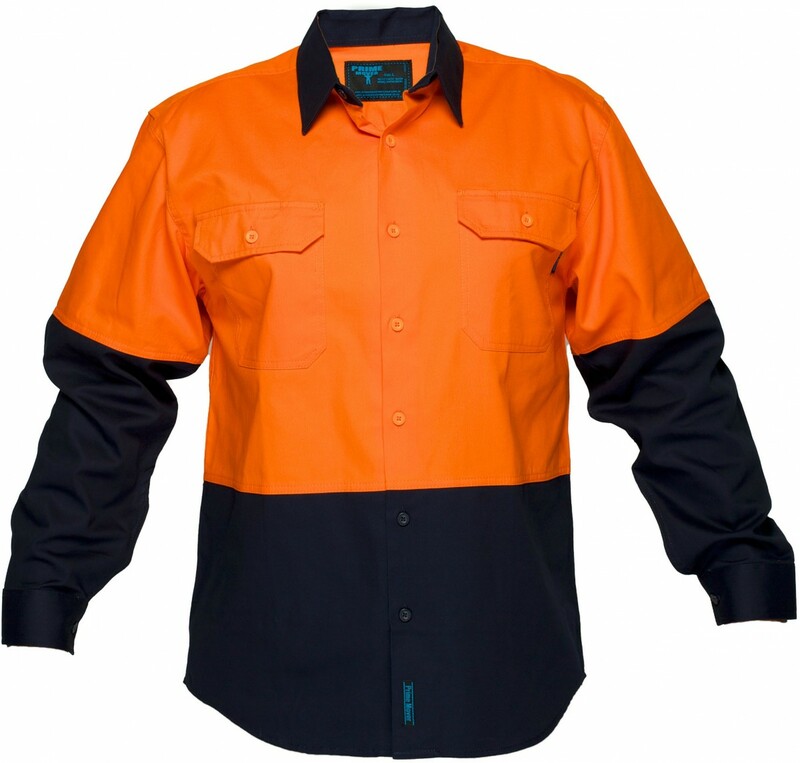 Double breasted pockets, both with pen division. 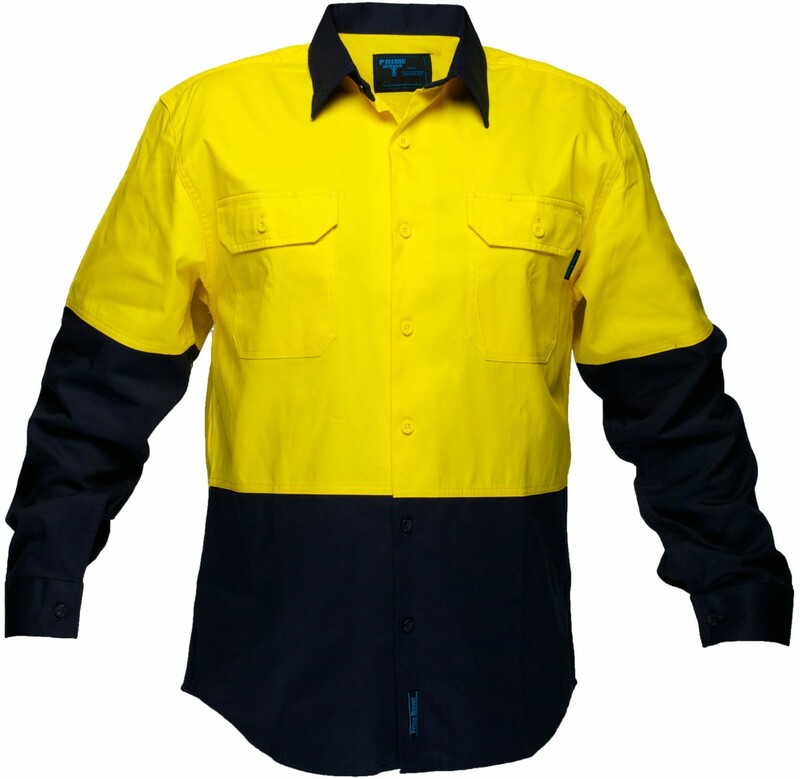 Plastic Button Closure and Gusset Sleeves.